Spaniard Inn - The Restaurant. 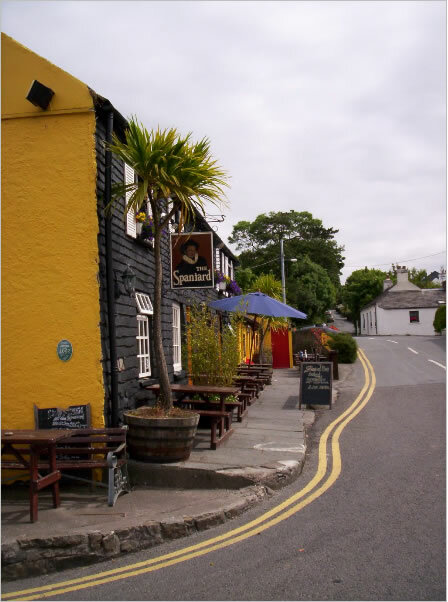 Kinsale is renowned as Ireland's gourmet capital. At the Spaniard we are doing our part to uphold this tradition. So, when you bring your friends and loved ones to THE SPANIARD , you can be sure of the very best food, drink and service. The Restaurant's split level construction can be deceptive - we can cater for over 100 guests. It is an amalgamation of two smaller restaurants. 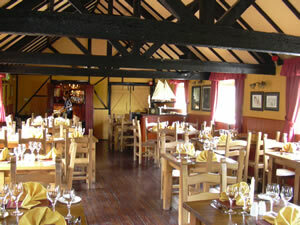 However, it still retains the cosy, intimate atmosphere and can expand or contract to the size of your group. 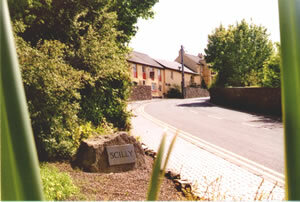 It's location too adds to the intimacy - though part of Kinsale, Scilly still retains it's own identity and space. And, of course, being a fishing port you know that the fish served will only be the freshest. Inside, the olde world charm remains. The town's maritime history and once thriving fishing businesses are reflected in the objects and artefacts that abound. In fact, some customers have commented that the old wooden beams and general layout give the impression of being in an old clipper ship! So, for wedding receptions, business meetings, family outings or, (if you must),a quick business lunch is what you require, The Spaniard Inn is here to oblige. Tá Fáilte Romhat Isteach! Welcome.